Hi Maggie--- I’m delighted to see that a Betty Boop Festival is taking place (annually?) 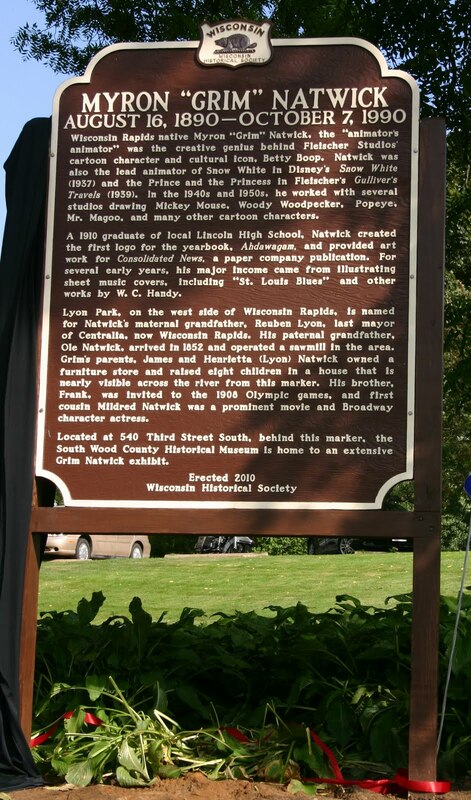 in Wisconsin Rapids, spurred by the connection to the native son Grim Natwick. As you know, I’m an expatriate Cheesehead, now in Massachusetts, but for a quarter century my publishing company, Kitchen Sink Press, was located in Milwaukee and Princeton, WI. I first met Grim at a Phil Seuling comics convention in New York in the early 70s. He later contributed a self portrait (with Betty sitting on his shoulder) for my “Famous Cartoonist” button series in 1975. Once, when Grim (by then a longtime Californian) was visiting his family in Beaver dam and in his late 80s, he and his "kid brother” (about 82!) drove to Princeton to visit our studio. 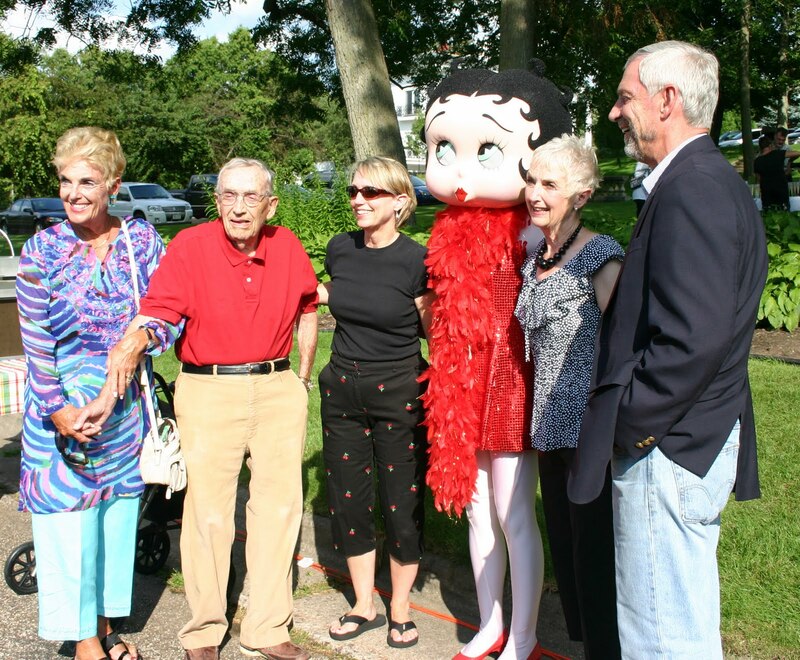 He graciously gave my art director Pete Poplaski and I each a pencil cell from his work on “Snow White.” I’m very glad to see the cheesehead connection being recognized with a historical marker and festival! Hey, Helmut, sorry for the delay in getting back to you. It's well-established - but it has aged like fine wine without new posts because I'm trying to revamp it. For that, I look to the support of three professionals (with input from even more), who have helped me (1) to set it up, (2) to maintain it, and (3) to prepare for the new look. I have a monthly blog in the "Toucan" segment of comic-con.org - and all I do there is provide text and art scans. It is a great idea to maintain a journal; you'll be able to use it as an eventual resource from which to access content. Note about art: Jpgs are best at 72 dots per inch (TOO SMALL for print, mind you). I'd suggest consulting with local advisors - which is what I did. Library? School? Fellow online buddies? They can help.